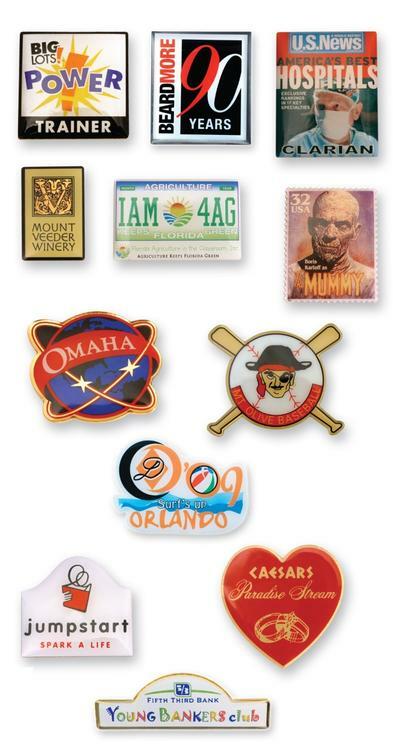 Our customized products include; lapel pins, coins, medallions, keychains, PVC products, dog tags, emblems, patches, money clips, zipper pulls, bookmarks, silicone products, tie bars, cuff links, magnets, key chain attachments, buttons, spinners AND endless customized metal and PVC products! 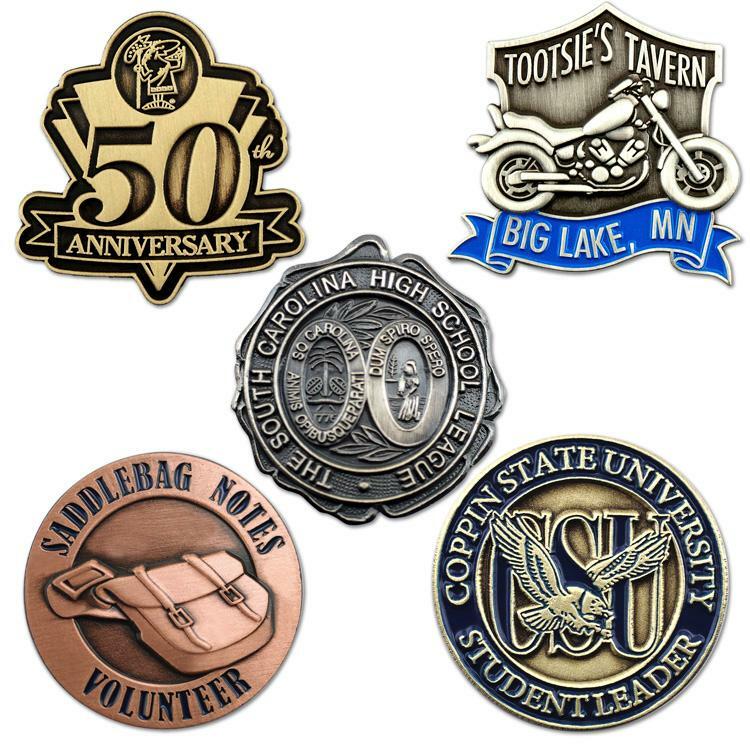 Our customized products include; lapel pins, coins, medallions, key chains, PVC products, dog tags, emblems, patches, money clips, zipper pulls, bookmarks, s, tie bars, cuff links, magnets, spinners AND endless customized metal and PVC products! 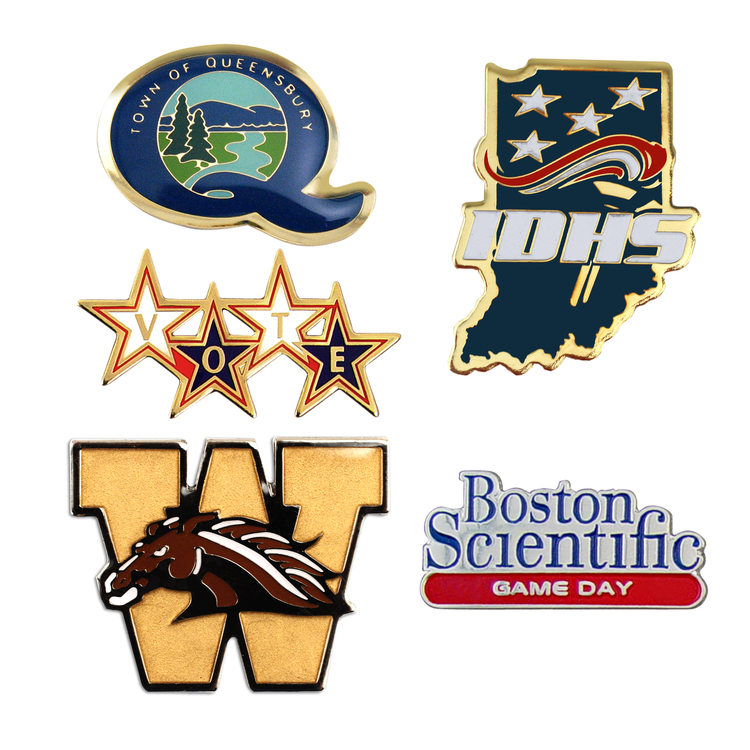 These custom made pins have colors that are printed directly onto bronze, aluminum or stainless metal. Epoxy covering provides protection. 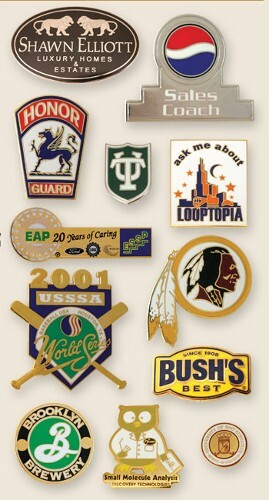 Uses May Include: -	Recognition, Achievement and Acknowledgment -	Collectibles -	Fund Raiser Events -	Trade show giveaways -	Promotional Items -	Elections -	Sports Trading Pins -	Celebrations and Anniversaries -	Service Awards -	Perfect for Organizations -	School Spirit NO SET UP CHARGES OR SET-UPS Prices Include: • Spur-nail/military clutch and individual poly bag Our customized products include; lapel pins, coins, medallions, key chains, PVC products, dog tags, emblems, patches, money clips, zipper pulls, bookmarks, tie bars, cuff links, magnets, key chain attachments, buttons, spinners AND endless customized metal and PVC products! 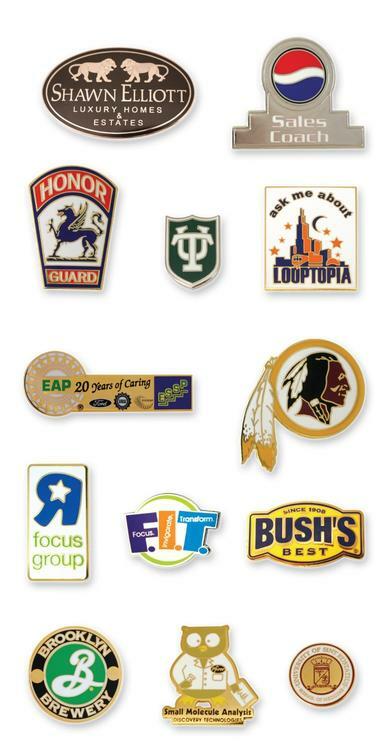 These custom made pins have colors that are printed directly onto bronze, stainless or aluminum metal. Epoxy covering provides protection. Uses May Include: -	Recognition, Achievement and Acknowledgment -	Collectibles -	Fund Raiser Events -	Trade show giveaways -	Promotional Items -	Elections -	Sports Trading Pins -	Celebrations and Anniversaries -	Service Awards -	Perfect for Organizations -	School Spirit NO DIE CHARGES OR SET-UPS Prices Include: • Spur-nail/military clutch and individual poly bag Our customized products include; lapel pins, coins, medallions, key chains, PVC products, dog tags, emblems, patches, money clips, zipper pulls, bookmarks, tie bars, cuff links, magnets, key chain attachments, buttons, spinners AND endless customized metal and PVC products! 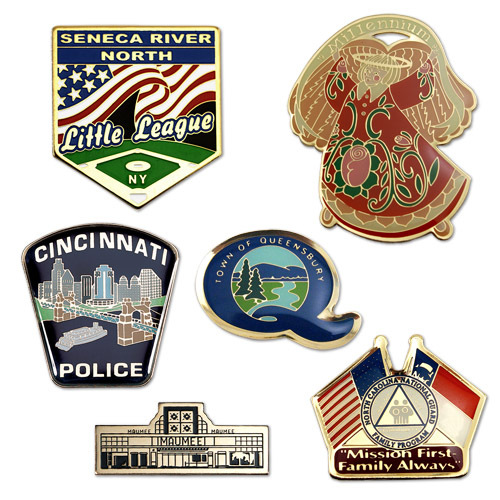 Our customized products include; lapel pins, coins, medallions, key chains, PVC products, dog tags, emblems, patches, money clips, zipper pulls, bookmarks,tie bars, cuff links, magnets, spinners AND endless customized metal and PVC products! 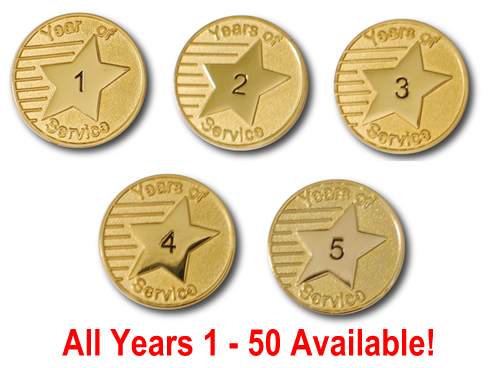 Die struck years of service lapel pins. Create an instant employee retention / recognition program. Each pin is 3/4" round - die struck in fine detail. 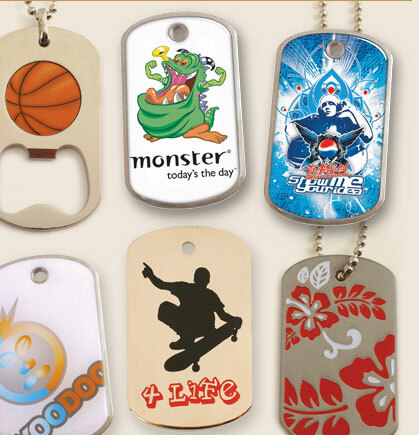 They have a hand polished gold finish with a sandblasted (matte gold) background. Each comes individually polybagged and has a military clutch. You MAY MIX Years to reach quantity discounts.